Get a First Look at Cyborg and The Flash in Justice League Art! Warner Bros. Pictures has revealed a new promotional image for their DC Films Presents: The Dawn of the Justice League special (via the new DC Films Facebook page) and with it comes our first look at both Cyborg and The Flash, set to be played by Ray Fisher and Ezra Miller, respectively, in some fresh new Justice League art! 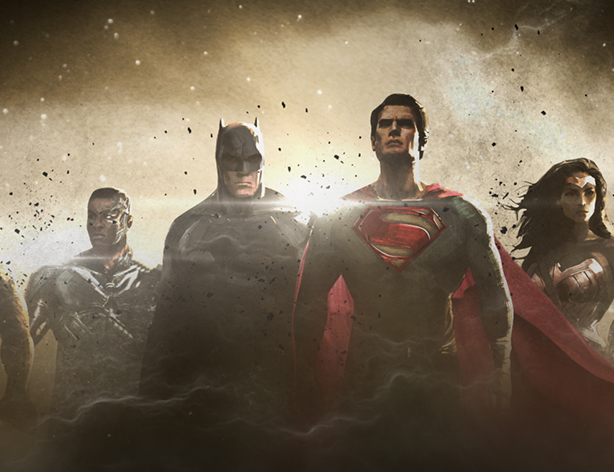 One curiosity is the absence of Green Lantern in the image, leaving the “Unite the Seven” tagline from the previously-released Aquaman art one member shy of its goal. Check out the image below! Set to premiere tonight at 9:30 PM EST on The CW, DC Films Presents: The Dawn of the Justice League invites viewers behind the scenes of the exciting new movies coming out of the DC Films universe, culminating in the thrilling world premiere of the all-new Suicide Squad, DC’s misfit crew of antiheroes forced into saving the world this summer, with director David Ayer. Hosted by filmmaker/writer/lifelong comics fan Kevin Smith, with special guest DC Entertainment’s Geoff Johns, the special showcases the explosive landscape of DC’s greatest heroes, kicking off with Batman v Superman: Dawn of Justice, in theatres this March, and with a sneak peek from the upcoming Wonder Woman feature film. 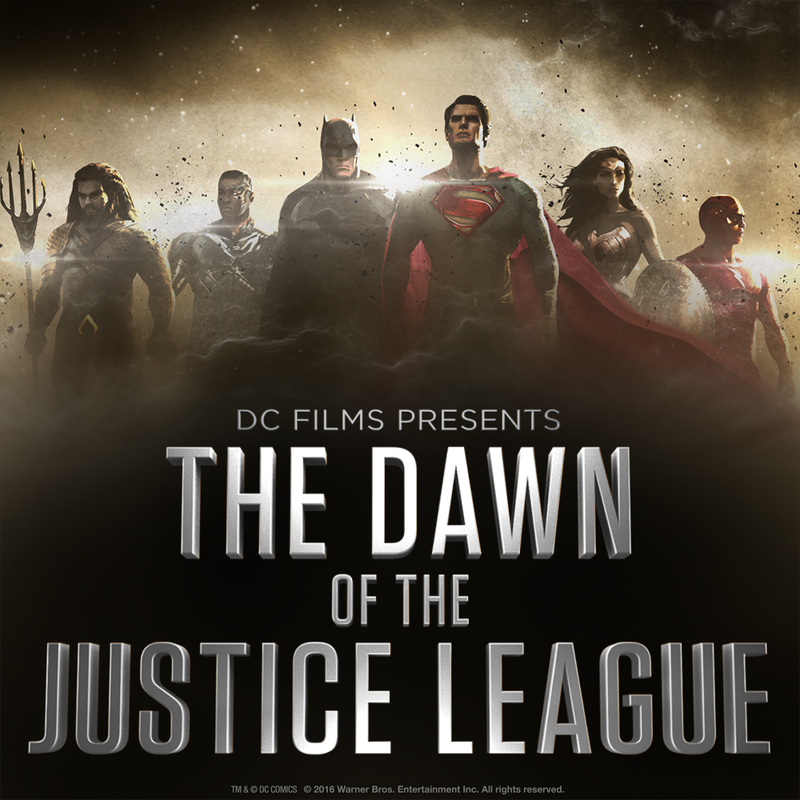 Get a look at never-before-seen footage, and see interviews with such stars as Ben Affleck, Henry Cavill and Gal Gadot, and directors Zack Snyder and Patty Jenkins—just a few of the creative forces behind the much-anticipated film franchise that will bring together the greatest collective of Super Heroes in the upcoming Justice League feature film. And because no Super Hero could make his or her mark without a truly formidable foe, the special also provides glimpses of DC’s most famous Super Villains. Justice League: Part One is set to debut in theaters on November 10, 2017.